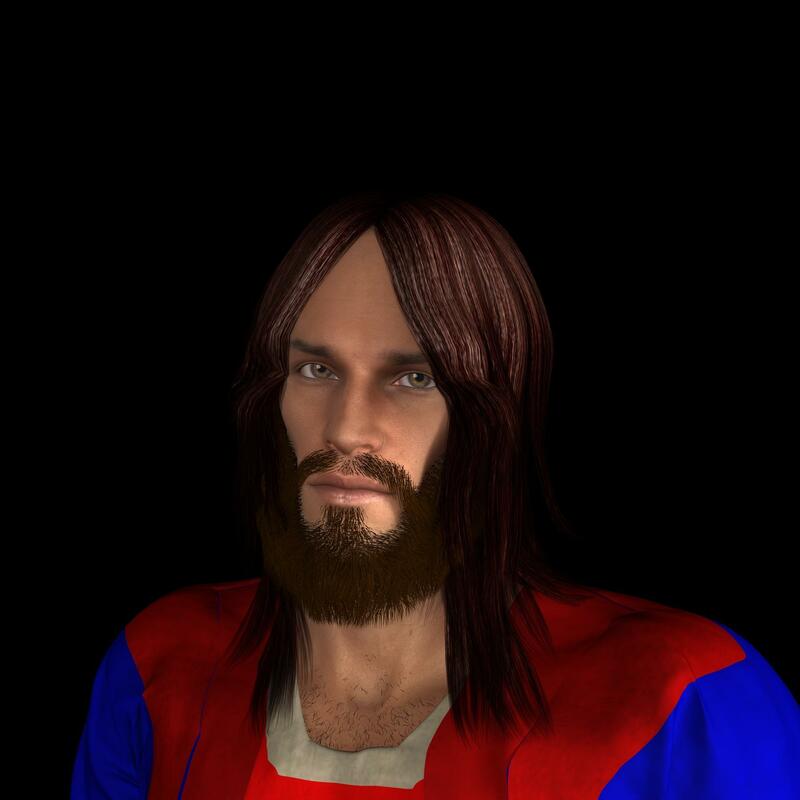 Hi, my name is Marc, anyone who can make a 3d of a portrait of Jesus Christ? Please see attached of reference. Moved to Art Studio - New Users would not be the ideal place to look for people ready to take on commissions. I will do him for you. No commission needed. Is that the image you want used or do you want to use another image for the render to be based on. well.. I did have a Christ figure for a set of images I did a while back for Easter for a parish website.. Not the greatest as a portrait, but well..
OK, I only rendered to about 20% converged since you didn't indicate any further exactly what you wanted. If you are wanted to render a series of scenes or animations of parables from the Bible then in my 'DAZ Gallery' you'll see the products I used to make the render.